Having reviewed a cake from Bakerdays before and knowing how nice they taste I was happy to include them in our Christmas Gift Guide. 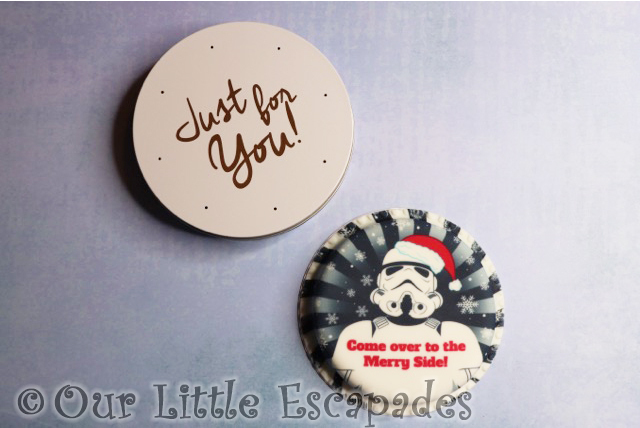 When I spotted the Star Wars Christmas Cake designs I knew I would want to write a review of the Bakerdays Letterbox cakes too. I have a soft spot for all things Star Wars! 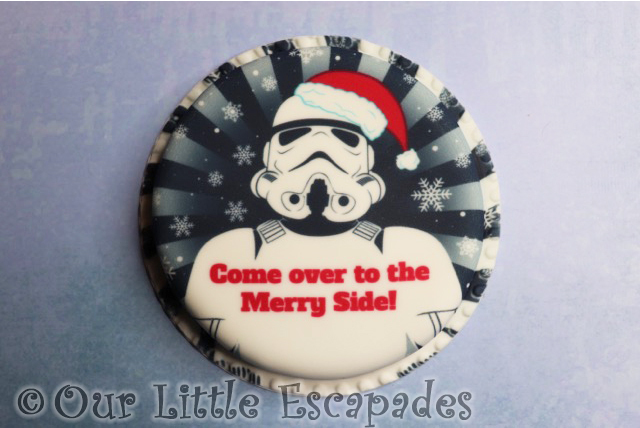 I ordered the Bakerdays Christmas Trooper Cake to include in our gift guide. You can order four different sizes of cake from Bakerdays. 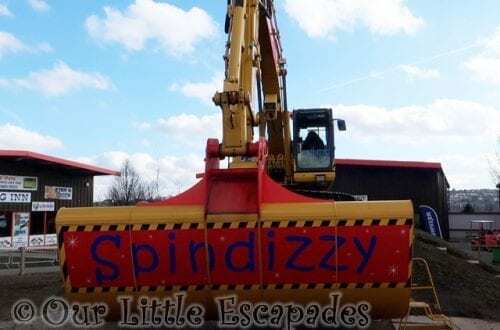 A letterbox gift cake that is 5 inches wide, a small party cake that is 7 inches wide, a medium cake that is 9 inches wide and a large cake that is 12 inches wide. There are five different recipes to choose from rich chocolate chip, lovely lemon drizzle, dairy free sponge, gluten wheat free sponge and fabulous fruit. 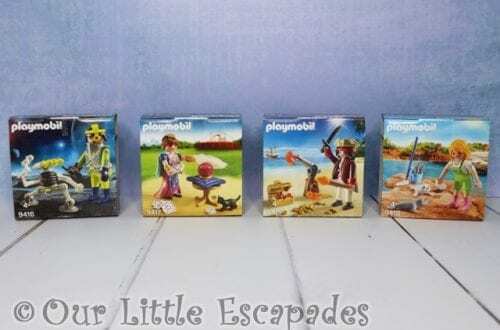 Prices start from £14.99. We were reviewing the 5 inch letterbox gift cake. Letterbox cakes are cakes that really can fit through your letterbox. 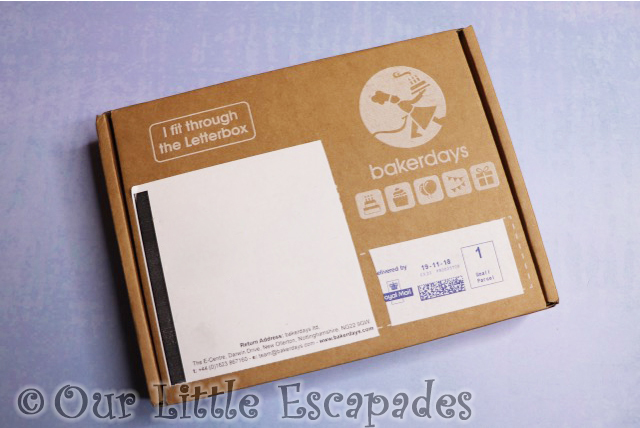 When I first heard of letterbox gift cakes from Bakerdays I did wonder how it would work. But it does. Perfectly wrapped so there is no damage in transit. 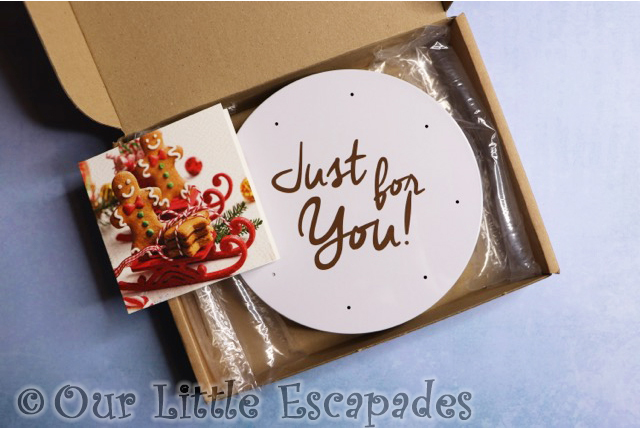 The cakes come in a box the perfect size that means the postman doesn’t need to knock on your door to deliver it. The cakes are supplied in a cake tin, cushioned with bubble wrap. With the help of a paper pull tab the cakes are easy to remove from the tin. Perfectly delivered without any damage to the cake. The first thing that made me want to pick this letterbox cake was the design. 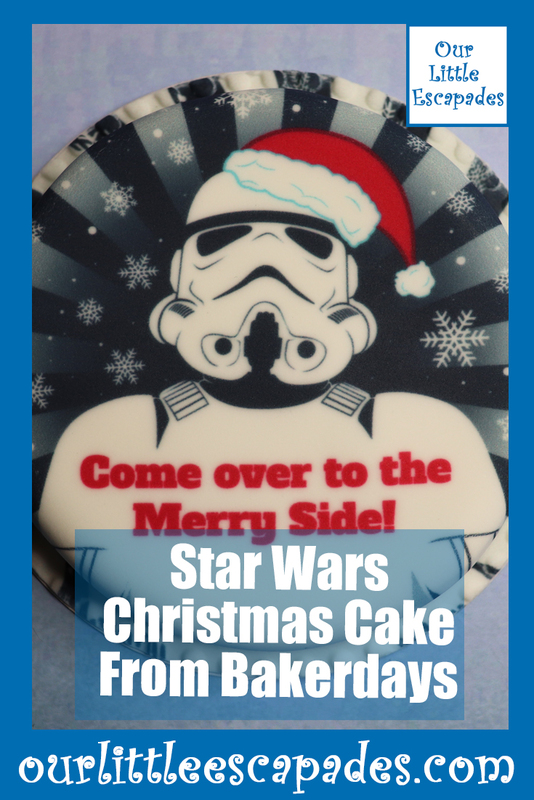 Bakerdays have a few Star Wars Christmas Cake designs to choose from. It was the Storm Trooper in a Santa hat that totally won me over. Being a big chocolate fan I had to pick the rich chocolate chip recipe. The letter box cake tastes amazing. It was a lovely rich chocolate and was perfectly moist. Kept in the cake tin it lasted a good few days. I’m sure it could have lasted longer but in our house, it is amazing that it wasn’t eaten all in one go! I love that you can send celebration cakes to friends and family in the post. A great gift idea. 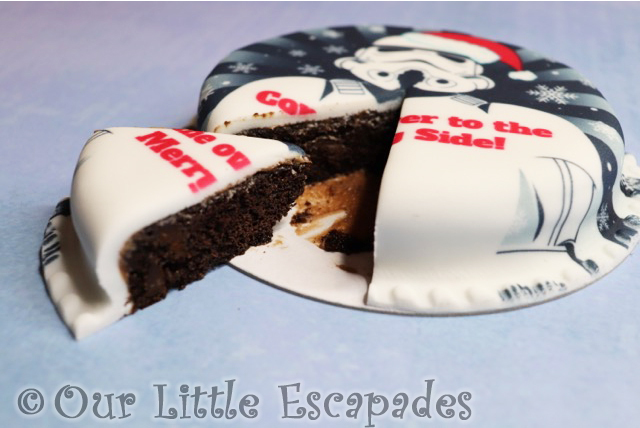 DISCLOSURE – We were gifted the Bakerdays Christmas Trooper Cake for the purposes of this post. We always give our honest opinions, findings, beliefs and experiences of the product.